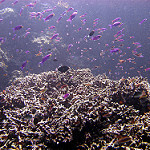 Been diving in Batu Kapal? Please Vote! 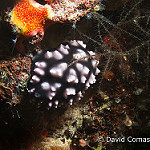 This dive site is a wonderful canyon dive that is a great habitat for a diverse array of marine life. The main part of the site is a sloping reef that then turns into a pinnacle drop off. 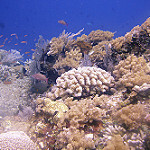 The corals are set in patches along the slope and the wall and provide great habitat for reef fish and smaller creatures. The dive is not very deep with a maximum of only 20 metres. Divers will navigate most of the depth of the site but will average at around 15 metres. The visibility is normally good with maximum s reaching 35 metres. 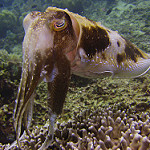 Most divers will have around visibility averaging around 20 metres. 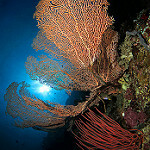 The dive site can be visited all year around and the water temperature remains between 26C degrees and 30C degrees. Currents are normally mild and the dive site is suited for most divers. However, at depths below 40 metres, there are some interesting parts of the dive with some caves at 60 metres deep. This part of the dive site is for very advanced divers only. 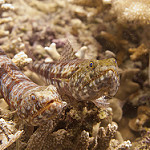 Divers will be able to spot most of the common fish of the area including smaller blennies, flathead worms, scorpionfish, leaf fish, and gobies. Moray eels can be found in the nooks and crannies of the drop off as well as many different reef fish. Divers should be able to spot porcupine fish, puffer fish, boxfish, triggerfish, surgeonfish, parrotfish, wrasse, batfish, anthias, damselfish, groupers, angelfish, cardinals, butterflyfish, and sweetlips. There are a number of larger fish species that can be found here including fusiliers, snappers, and trevallies. Hammerhead fish are also seen at the lower depths of the dive site. Map of Bunaken, Batu Kapal dive site.